Betties N Brimstone: Handmade Swap! A couple of weeks ago, Jamie (of "With Love, Jamie") contacted me to see if I'd be interested in doing a handmade swap. Well, I'm always looking to spread the Hell Razor love around, so I was totally down for that. Plus, it's always super fun to get to shop in someone's Etsy shop for free (relatively speaking) and treat myself to something new and fun. Last week my package arrived and it's AWESOME! 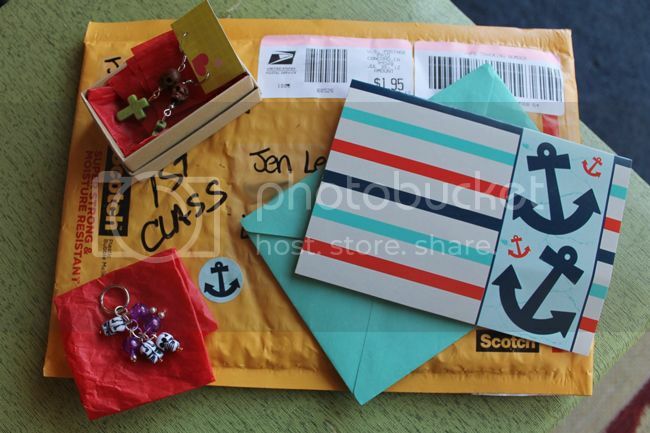 Jamie's mail had a fun anchor theme that matched her enclosed notecard. So cute! 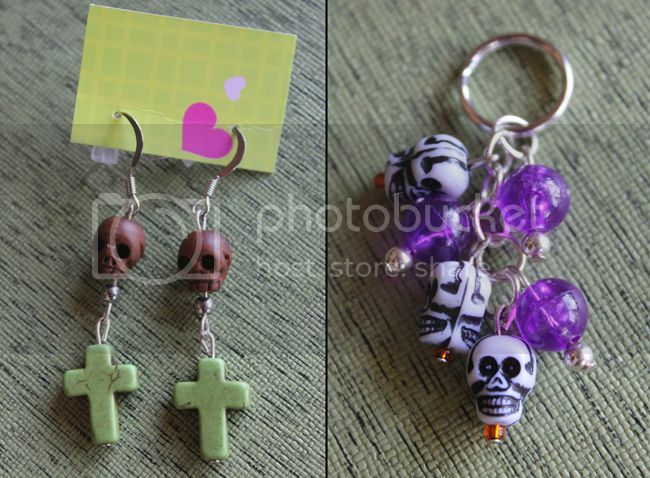 I picked out these skull and cross earrings (pictured above), and was pleasantly surprised to find a cute skully charm keychain bonus! Skulls and purple... a girl after my own heart!